Little improvement by everyone on regular basis at every area of operation brings growth for organisation on continuous basis and also it emphasis CHANGE FOR GROWTH. Detroit Consulting brings growth and improvement models for industries,service sectors like Hospitals,BPOs,Hotels, IT industries,Banks and Educational Institutes. DCS trains ,Implements and reinforce the Kaizen Model for wider acceptance and to bring it to the operational flow in the organisation. Kaizen in any organisation can be introduced as a independent tool or as a supporting tool in LEAN Deployment. DCS experts understand ,introduce most customised implementation mechanism to answer the challenge of resistance of the floor . 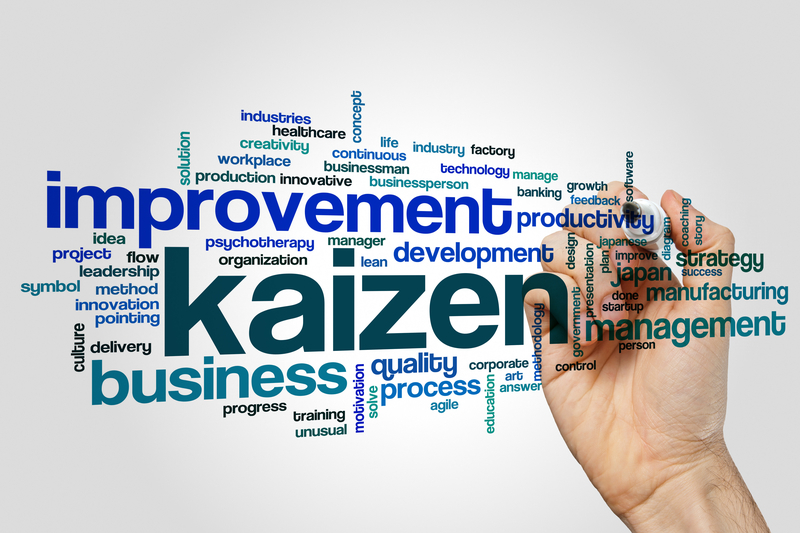 Kaizen reduces waste: In areas such as employee skills, waiting times, transportation, worker motion, over production, excess inventory, quality and in process. It improves product quality,use of capital, production capacity, communications,Space utilization and employee retention. It provides immediate results. 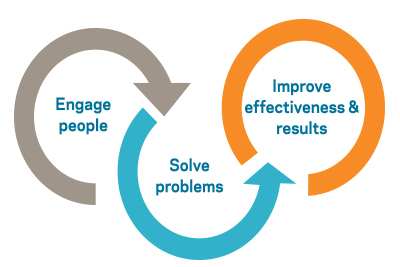 Instead off focusing large scale improvements, which involve capital intensive, Kaizen focuses on creative investments that continually solve large number of small problems. A Learning Experience: Every member of a Kaizen Team will walk away from the event learning something new. 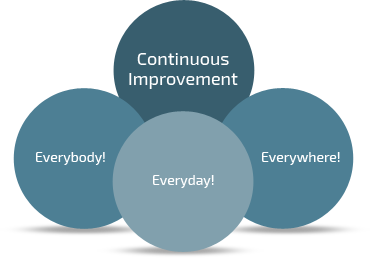 The real power of Kaizen is in the on-going process of continually making small improvements that improve processes and reduce waste. It also encourages big picture thinking. Results in higher employee morale and job satisfaction. Organisational/Process Analysis to asses to present level of Kaizen practice and the knowledge level of the team. Strategize the implementation pathway of the project with top management. Formation of small teams at process level and organizational level. Imparting of classroom and onsite training about the concept, benefit, involvement and method of Kaizen Implementation. Development of tools- Formats, Scoring sheets , Dashboards, Visual Management tools. Pilot project initiations and the supervisioning of DCS. Task Management of KAIZEN Implementation to the team at proven level. Its independent of DCS Team involvement. Monitoring by DCS on the regularization of practice by periodical supervision.